For a long time Dinant was one of the most important "Good Cities" of the prince-bishopric of Liège. The city was known for its coppersmiths, which was one of the main occupations of the time. 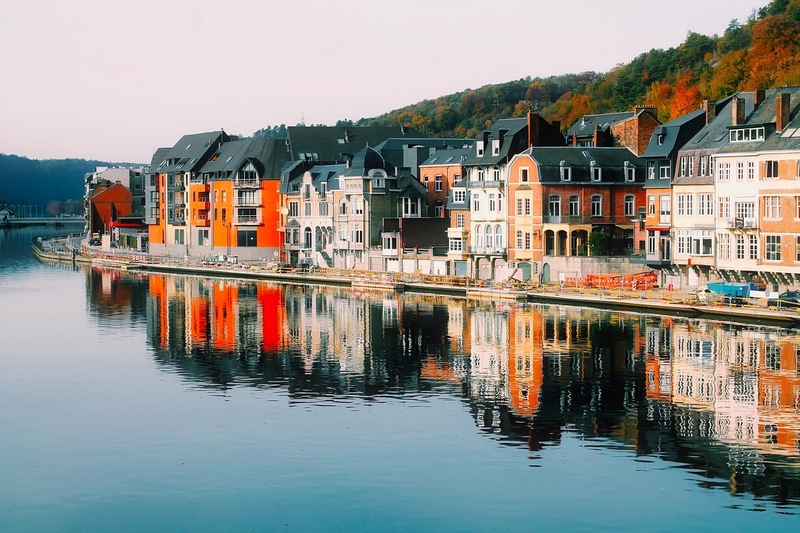 Because of its wealth and its strategic location on the Meuse the city was on the important trade route that ran from Cologne to Paris. Dinat is also the birthplace of Adolphe Sax. The world famous instrument can be found all over the city as different artifacts. Things to surly visit in the city are: 'The House of Sax' (French: Maison de Monsieur Sax) it is a museum that focuses on the legacy of Adolphe Sax (1814-1894). Sax was an instrument builder who was mainly known as the inventor of the saxophone. The Collegiate Church Our Lady (French: Collégiale Notre-Dame), a collegiate church from the 13th century. 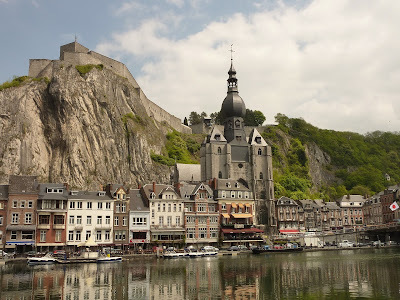 The church is completely built from the gray limestone of Dinant. 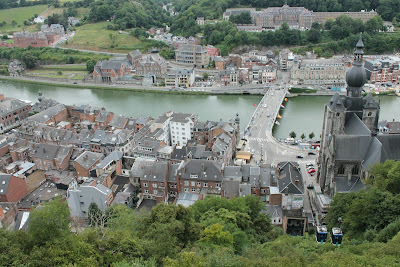 The citadel of Dinant. The citadel is built on a rock, near the city center, 100 meters higher than the water surface of the Meuse. Access to the citadel is ensured, among other things, by a cable car or you can climb a staircase dating back to 1577 with 408 steps, starting in the city center. The citadel itself dates back to the 11th century. The first building on that location started around 1051, it was commissioned by prince-bishop Dietwin of Liège. 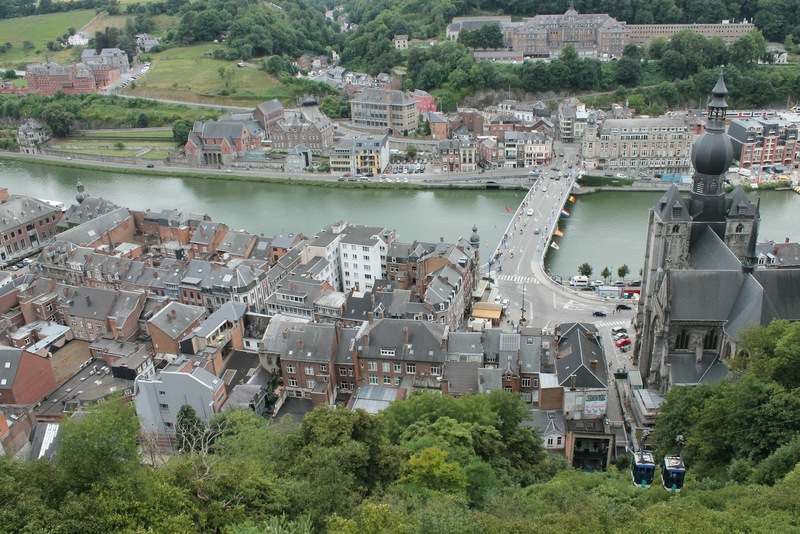 The city and citadel were destroyed in 1466 during the Liege Wars by Charles the Bold. Prince Bishop of Liège Everhard van der Marck thoroughly expanded the citadel during the restoration in 1530, including adding a castle tower and a round half tower. At this time the citadel could house 500 soldiers. In 1675 the French, under captain and marshal of France François de Créquy, occupied the city and use the citadel as a defense base. The citadel was blown up in 1703 with the retreat of the French troops. Under the Treaty of Utrecht of 1713 the citadel returned to the Bishop of Liège. The last restoration was done from 1818 to 1821, from the period of the United Kingdom of the Netherlands. Until the Belgian Revolution, the citadel was the berth of a Dutch garrison. In the First World War, in August 1914, heavy fighting took place between German and French soldiers. Today a historical and weapon museum has been on display since the end of the Second World War.